Going Somewhere: Episode VIII uses glitches to reconstruct the sci-fi movie trope of explorers landing on an alien world to become a paranarrative about anti-colonization. The data stream that is the digital file has been glitched to create a continuous flow of imagery that functions syntactically—eschewing montage and the long take—so that each shot develops seamlessly into the next, morphing from one image into another. The overall structure of these images allows for a consideration of the relationship between displacements (primarily einbau structures) and their capacity to amplify the conceptual-narrative aspects of the science fiction ‘story.’ At the same time, the conversion of the shot sequence into an ASCii code animation enables a consideration of the distinction between the surface of the image and its internal organization as code. The audience is central to this process: without them, there is no coherence, no organization to this progression. Michael Betancourt has screened internationally in Black Maria Film Festival, Contemporary Art Ruhr, Festival des Cinemas Differents de Paris, Millennium Film Workshop, and Experiments in Cinema among others. He wrote The ____________ Manifesto, was published in The Atlantic, Millennium Film Journal, Leonardo, and CTheory; was translated into Chinese, French, German, Greek, Italian, Japanese, Persian, Portuguese, and Spanish; and authored many books, including The Critique of Digital Capitalism, The History of Motion Graphics, and Beyond Spatial Montage: Windowing. This experience may sometimes be quite intense, but to escape from it, one needs only to open one’s eyes. S.F. is a visual artist (Libra) from YWG, whose film and video work has screened at underground festivals and marginalized venues worldwide. Clemente Bicocchi makes documentaries and experimental films that has been presented and awarded in many international film festivals. His first novel book has been published in 2017. The distance from the Moon to Earth averages 238,855 miles. Both astronomical bodies are made up of the same elements in different proportions; one supports life, the other does not. A filmmaker follows a man as he searches for clues to understand the father he never knew. Armed with a stack of photographs, a street address and the knowledge that the man’s father was an astronaut, the two explore their surrounding environs in order to unravel the mysteries of living on planet earth. Vasilios Papaioannu is a Greek-Italian filmmaker, writer and producer. He holds an MA in Communication/Text Semiotics from the University of Siena and an MFA in Film from Syracuse University. In his work Papaioannu explores the fleeting dreamscapes of reality using noise, movement, and disturbance. In conjunction with his filmmaking activity he is also a mixed media visual artist, combining painting, vector art and photography. He is currently an Assistant Professor at the Department of Transmedia, Film, in the College of Visual and Performing Arts at Syracuse University in New York. Emma Piper-Burket is an artist, filmmaker, and writer working in fiction, non-fiction, and collected media. Her work is process-based and research driven, incorporating social trends, ancient history, science, politics, ephemera, and the natural world. She holds an MFA in Cinema from FAMU in Prague, and a BA in Arabic and Classics from Georgetown. Like restless waiting missiles, pillars of industrial machinery send us to a desolate world. Lynne Siefert is a filmmaker from Seattle, WA. 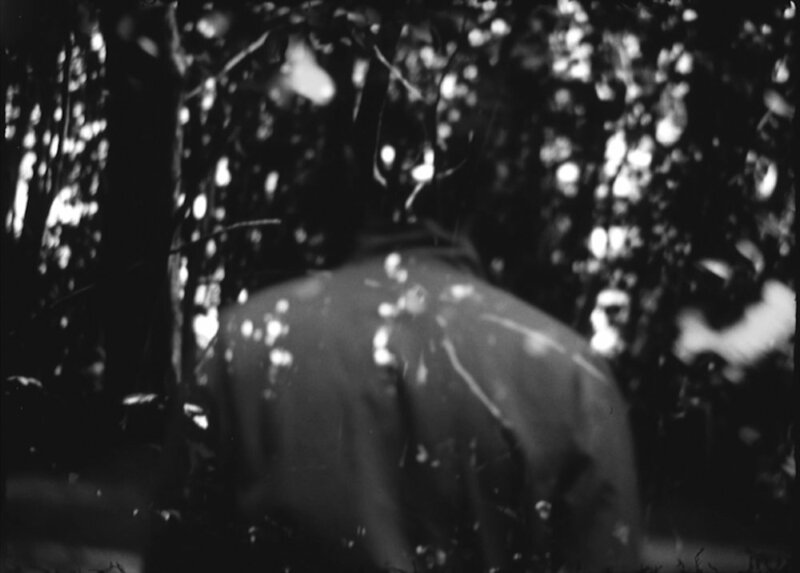 Shooting both on 16 mm film and digitally Lynne creates experimental documentaries and short poetic world-scapes. Lynne has exhibited nationally and internationally and holds an MFA from Emerson College in Media Art. Mike Rollo’s work explores alternative approaches to documentary cinema — methods which thematize vanishing cultures and transitional spaces through references to memory, history, religion, and autobiography. A founding member of Montreal’s experimental film collective Double Negative, Mike has curated the work of prominent international and Canadian experimental filmmakers. Currently he is a member of Independent Visions a curatorial incubator devoted to making independent and experimental media accessible to a diverse audience in Regina.